When I am asked to analyze my Shopify clients’ website analytics, I usually like to start with their eCommerce bounce rates. And for a long time I have wanted to address some of the common questions like “what is a good bounce rate for eCommerce site”?, “how to find bounce rates on Shopify”, and “how to reduce bounce rates in eCommerce?”. But first, what is bounce rate? Wikipedia defines “Bounce Rate” as an internal marketing term used to measure or analyze web traffic. In simpler terms, “it represents the percentage of visitors who enter the site and then leave (bounce)”, instead of navigating to other pages of the website. Download your guide and learn about complete dropshipping from how to address the most common challenges that you might come across and also how to run your store like a PRO..
Google Analytics defines bounce rates as “the percentage of single interaction visits to a website”, because a page view is considered as the most common second interaction. To arrive at a bounce rate, you need to calculate the ratio between the number of visitors that “bounce” and the ones that keep on browsing through your website. So a high bounce rate typically means that you have not been able to give your visitors a good first impression of your website. Bounce Rate represents the percentage of visitors who enter the site and then leave (bounce)”, instead of navigating to other pages of the website. – Tweet This! When a visitor lands on your site, your primary objective is to keep the bounce rate as low as possible. Remember that bounce rates of more than 50% can negatively impact your conversion rates. At the end of the day, your end result should be sale, and if that’s not happening, it’s time to analyse why. 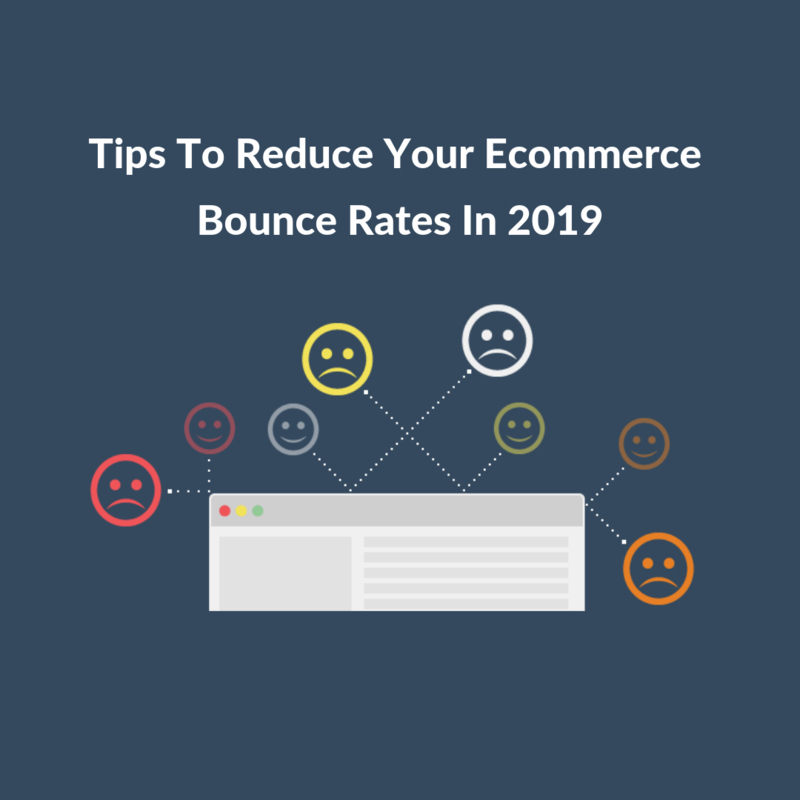 So, what is an acceptable eCommerce bounce rates benchmark for 2019? The most recent data shows the average eCommerce bounce rate at 45.68%. But typically, eCommerce and retail websites can have bounce rates between 20%-45%, which is normal and considered “not so bad”. The industry top performers will have a bounce rate of 36% or lower. Now this is where it gets a bit tricky. If everything is working well for your Shopify eCommerce store and your store is showing what you call ‘sustainable growth’, it can be okay to have a high Bounce Rate. Having said that, a high eCommerce bounce rates means that something is not quite right. It is also important to keep in mind here that there is no such thing as “good” bounce rate. For any website, eCommerce or not, a certain bounce rate is unavoidable. However, it is worrisome when it starts affecting the overall business output and pulls down your conversion rates – and that depends on several factors. For instance, if you have a very large user base, your bounce rate will also be a little higher than websites with less traffic. That’s a given, and is unavoidable. Geographical location might also be a factor in some cases. In certain regions bounce rate for a particular industry or products will be higher and your competitors in that region will also experience the same. A cluttered eCommerce website layout with too many distractions lowers the attention span of your visitors. These are detrimental to grabbing user attention. A clear focus on your products (both images and descriptions) in quick readable formats help take this factor away, reducing your bounce rates. Reducing distractions with tons of visual elements and increasing white spaces between images and text points also increase your conversions. Website features such as a fast loading eCommerce site, striking the right balance between images and other visuals, and offering high-quality detailed imagery of your product from different angles also go a long way in reducing bounce rates. Look at this example from a page from ASOS below. It is minimalist, neat with clear filters and very high-quality images. 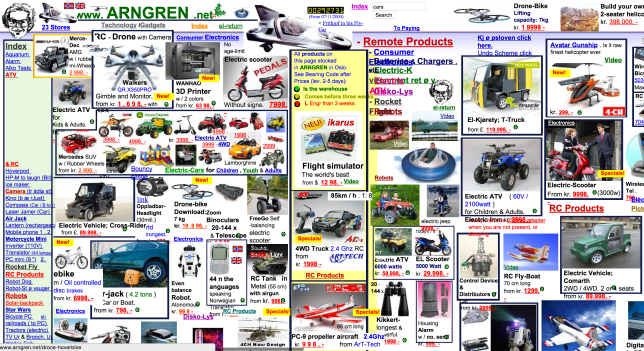 On the other hand, look at the below site from a company called Arngren. It is so cluttered that a high bounce rate is inevitable. A lot of eCommerce bounce rates happen because of ad-heavy pages. It’s important to remember that Google reduces rankings of those pages that bombard users with a lot of ads above the fold, because this makes your website visitor hard to find content that he is looking for. CTAs are important for any website. And CTAs displaying limited-time discount offers are often very effective on eCommerce platforms. But that does not mean that all CTAs should be targeted towards achieving sales. Internal linking is a great way of ushering your visitors to other pages of your website, ensuring that they stay engaged in your content. Linking your products to related blog articles is very effective at showcasing some relevant content that your users would love to find about. Call to actions should be relevant to the content on the page, because that will increase your click through rates – thus reducing your bounce rate. eCommerce websites are required to collect personal and sensitive information from their customers – like bank and credit card details to allow them to complete their purchases. And customers often ‘bounce’ from the website when they don’t find relevant information on the site telling them that the site is secure. SSL certifications and trust seals on the checkout page reduce this apprehension allowing your customers to complete their purchases – thus reducing bounce rates. Marketing channels are great ways of understanding where most (or least) of your visitors are coming from because that helps in segmenting some of this data. Understanding where your traffic has come from and which marketing channel your audience is likely to use are important parameters that you need to thoroughly analyse if you want to reduce your Shopify eCommerce bounce rate. For instance, visitors who have come to your site from social media channels are more likely to bounce more than visitors from any other marketing channel, the reason being social media users usually scroll down their news feeds, view small chunks of information and click on them without any purchasing intention. Whereas, a user that has searched for a specific product on Google has already demonstrated a strong purchasing intent. So when these users show a high bounce rate on your pages, there is a reason for that and these should be addressed. According to a study by Gartner, there will be a 15% boosts in profit by 2020 for those who successfully manage personalization in the eCommerce. Personalization is nothing but ways of creating individualized and customized experiences for customers by dynamically displaying custom content, personalized product recommendations and related products, adopting AI powered and personalized email campaigns based on demographics, online browsing history and past purchases. AI powered personalization is becoming the next big thing among eCommerce players, considering its positive impact on eCommerce bounce rates. AI powered personalization is the next big thing among eCommerce players, considering its positive impact on eCommerce bounce rates. – Tweet This! It often happens that visitors arrive at your website having an idea on their minds, only to find out that the website did not contain what they were looking for. This happens as a result of misleading Title Tags and Meta Descriptions. The content of your page should be accurately summarized by your title tag and meta description. In such cases your visitors don’t find what they were looking for, and they leave your website increasing your eCommerce bounce rates. Review the content of your web pages and make sure that your Title Tags and Meta Descriptions are aligned to that. If your bounce rate is exceptionally high and you often experience people spending less than a few seconds on your website, it’s possible that your page is blank, returning a 404 Error, or not loading properly or instantly. Try looking at your website from the most popular browsers and device configurations to mirror their experience and then talk to someone who can help. This might seem like a rather trivial matter when talking about higher bounce rates, but it isn’t. Your products aren’t the only things that people look for when they are there with the intent to purchase. Shoppers (and many of them) often look for shipping policies and other related information prior to making a purchase. In fact, they appreciate being in the know about your shipping policies before they hit “checkout”. Include your shipping information or policies in the product pages (if not on the landing page). Let it be clear for your visitors to notice when they first set foot on your website. Last but not the least, make sure that your eCommerce store is responsive to mobile and other hand-held devices. People are increasingly shopping on the go from their mobile phones and tablets, and not getting a great experience there can be a sure shot turn-off, increasing your eCommerce bounce rates. How important is measuring the bounce rate right? All said and done, bounce rate equation doesn’t always tell the whole story. Measuring your bounce rate is important for any website, but measuring it correctly is the key. A visitor lands on your product page from a Google search. They go through the products, the price and other specs. But they also may have other tabs open with different eCommerce stores with similar products. In simple words, they’re comparison shopping. They will interact with your store and carefully consider your products. They may also spend a good couple of minutes on your product page. But to your utter dismay, in the end, they will leave your site without making a purchase and click out of your website. Unfortunately, this will also count as a bounce. Your site maybe a perfect site taking all the above mentioned 10 factors into consideration. You couldn’t have done anything more to ensure that your visitor stays and buys from your store. But, they leave nonetheless. Hence, analytics is important. An important thing to note here is that your site-wide bounce rate won’t be very helpful for your analytics, particularly if you have a lot of different types of pages on your website. What comes handier is your page-level bounce rate that considers the type of content on each page. Blog posts usually see higher bounce rates than your product pages. That’s normal, because people don’t want to read large chunks of information if they are not relevant to them. 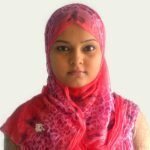 The crux of the matter is that a high bounce rate need not necessarily indicate poor website performance or lower conversion rates. It’s important to cross-analyze this bounce rate to other analytic reports like time spent on page, traffic referrals, etc. and then match them with your goals before you arrive at any conclusion. Low eCommerce bounce rates typically entail you taking care of all the factors described in this article, and then spending a little more time with your Analytics Software to understand what else you could do to lower the bounce rates.